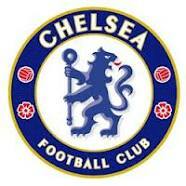 Premier League Preview for Chelsea v Sunderland along with Predictions for the matches on week 32 of the EPL. Follow up each match with results and video highlights posted later in the week. You can also check out the weekly EPL TV Schedule. I don’t know if it’s irony or not, but this EPL game is a matchup of two teams coming off of a fixture against Manchester United and both getting opposite results. I suppose the irony would come if Sunderland were able to get a result off of Chelsea. This will be Paolo di Canio’s first match in charge of Sunderland and will have had the week to work with them on the training ground in preparation for the match. His presence could give them a much needed boost. I will be very interested to see how they respond to him and I won’t be at all surprised by a turnaround at the club or a result gained on Sunday. Chelsea are definitely going to be tired after their string of matches and this could really bite them hard in this match. The question will mostly come down to what kind of side Rafa Benitez puts out. I’m predicting that he will continue his squad rotation and give several players a rest. This could be just what Sunderland need to get a result. My original prediction was a Chelsea win, but I think this is going to be the match in which Sunderland are able to turn it around and get a result. Chelsea have looked fatigued lately while Sunderland should get a boost from having a new manager. They don’t have a whole lot of attacking options so I foresee this being a low scoring affair. My prediction is a draw that gives Sunderland a bit of a chance to build some form and go on a run and move up the Premier League table.